A reliable EPoS software that manages all areas of your business easily and efficiently. ICRTouch is one of the leading EPOS softwares for EPOS systems that can tailor to all functions of a business whether it’s a hotel, bar or restaurant. 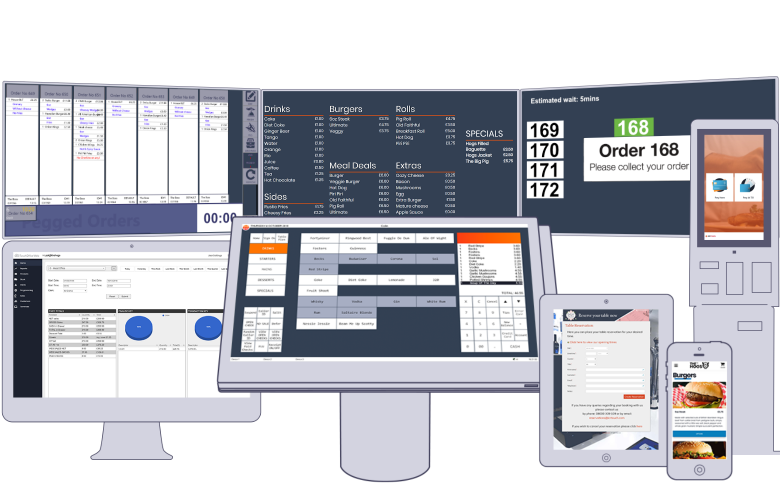 ICRTouch offers a family of software that will be able to suit all needs of a business such as integrated till software, the ability to manage your business from anywhere you are, handheld order system, organised kitchen software, self-service software and much more. TouchOffice Web is a powerful tool that gives you a live understanding of how your business is operating on any web-enabled device so you can view from anywhere in the world. TouchPoint is a touch screen till software for your POS system. With a simple keyboard layout, customisable button colours and graphics, it makes for easy navigation for your staff to operate efficiently. PocketTouch is a paper-free handheld device with the ability to take food and drink orders specifically design and developed for the hospitality and catering industry. TouchKitchen changes the way food orders are processed and sent to the kitchen. Throughout all courses of the meal, orders are organised on a kitchen interface for simple order ticket management. SelfService software allows customers to scroll through the menu system and place their order without having to rely on the assistance of staff or go to a checkout station. TouchReservation software allows customers to make bookings at any available time on any web-enabled device such as a smartphone or tablet.